Speculative Faith | Who Ya Gonna Call? There is a noticeable contrast in Van Helsing’s methods and beliefs compared to more recent hunters. Last week, I picked up The Last Witch Hunter at a Redbox kiosk (I was looking for Bridge of Spies but that particular kiosk didn’t have it yet, and I didn’t want to go home empty-handed). 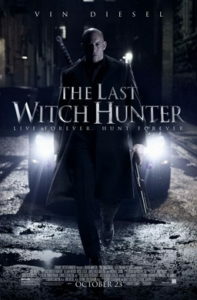 If you haven’t heard of it, Vin Diesel plays a medieval witch hunter who slaughters a fiery witch who is responsible for the Black Plague, but just before she dies, she “curses” him with immortality. Cut to present day where he’s a lonely, jaded man (being assisted by Michael Caine, no less!) when all of a sudden, the witch rises again. Predictable CGI action abounds, though there are a few twists and turns as well. All in all, it’s a decent film, worth the $1.50 rental. 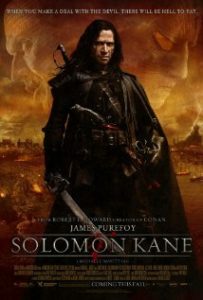 It reminded me of an equally campy but far superior (and more violent) film called Solomon Kane, a British action/horror film that made hardly a splash here on the other side of the pond. Solomon Kane is a character created by Edgar Rice Burroughs, the father of Tarzan of the Apes and John Carter of Mars. I’ve never read the books, but the movie has a similar tone to The Last Witch Hunter and centers around a dejected man in the 17th century trying to run from his past while dispatching demonic bad guys along the way. As an aside, this is one of my favorite Gothic action films and had a strong influence on my early writings. A more modern yet similarly nihilistic supernatural exterminator is John Constantine. He has his own line of comic books, a movie with Keanu Reeves, and a short-lived TV series. Sort of a chain-smoking, ill-tempered Magnum, P.I., Constantine is a mash-up of maverick priest and demon assassin, exorcising the darkness with gadgets, faith, and a whole lot of attitude. All of these guys are modeled after Abraham Van Helsing, Bram Stoker’s vampire hunter in Dracula. In the book, he relies heavily on science and medici ne to combat the effects of vampirism, but he also has a tremendous amount of faith that God’s light would overpower Satan’s darkness. There is a noticeable contrast in Van Helsing’s methods and beliefs compared to more recent hunters. His faith is at the core of his strength, which is strained to the breaking point many times in the novel. However, his modern variations rely on weaponry, determination, and just the barest belief in God’s power. Of course, these stories are no place to find sound theology, but they do utilize liturgical elements and regularly reference Biblical stories and characters. 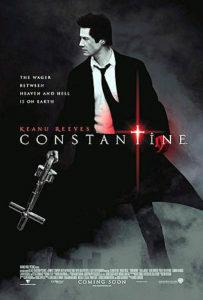 John Constantine uses relics and chants to combat evil, and Solomon Kane seeks to redeem his hell-bound soul by doing good. Vin Diesel’s witch hunter, however, wields swords and shotguns. A secret organization sponsored by the church lends a little help, but he’s out there hunting his quarry like a bounty hunter in the Old West. There’s nothing wrong with this narrative line, since it’s just entertainment after all. But I was hoping for something a bit more grounded in faith, rather than simply the muscles and willpower of man. This is what made Van Helsing so appealing, and refreshing, to me as a reader. Though there is some hand-to-hand combat at the end of Dracula, he did not place his trust in weapons, but in his friends, in science, and in God. He was a brilliant man who did not let his intelligence blind him to the supernatural, nor did he run from its evils. I wouldn’t characterize him as a jolly character but he was certainly hopeful, and that was his greatest weapon. Bullets and blades are nice for cinematic spectacle, but faith and hope are far more powerful. Of all the fictional heroes that have come and gone, Van Helsing is one of the few that I truly admire. I recently saw the Last Witch Hunter too. I did like Vin Diesel’s character. I found the acting superior to the story line. I like how you brought it all together in your post. You rock Mark! Well, you’re sort of leaving out the movie Van Helsing, wherein Hugh Jackman dons an epic Fedora and joins Kate Beckinsdale on a world-saving battle to save the universe from Dracula’s sinister plan to use Frankenstein’s (steampunked) monster as a living capacitor to spawn his army of “children” and conquer the Earth. And in this version, Van Helsing relies completely on muscle, guns, and becoming a werewolf to stop Nosferatu. God and faith find no mention there that I can recall. So even the good professor took a turn for the occult in modern cinema. Ah right, I get him and E. R. Burroughs confused. He had Tarzan, Howard had Conan. I have noticed that in many modern vampire tales the whole religious aspect that Stoker included in his Van Helsing character (the power of the cross and holy water, for example) are often dismissed. I forget what movie it was but the vampire tells the victim something to the effect that the cross that he is brandishing has no power over the vampire as the victim doesn’t believe in it (which is actually fairly accurate theology, I suppose, but still) and intimates that it is the power of belief only and not what you believe in that makes the talisman powerful. As with everything else, our culture consistently approves of the “all ways lead to God” path. Several of Vin Diesel’s movies have a religious aspect to them. His character in the Fast and Furious movies talks about how his father hosting after-church barbeques for the neighbors, and there is at least one instance of prayer, as well as the flashback in the last movie to Dom and Hettie’s wedding. And it comes through in this movie, too. Not that his movies are what could be called “Christian”, or that his characters always act in Christian or even moral ways. In that sense, he reminds me some of Nicholas Cage, another actor whose movies often have religious themes worked into them. Denzel Washington is the same way. He’ll do a religious-themed movie or a role where religion is an important factor, and then he’ll do something crass and brutish like Training Day.